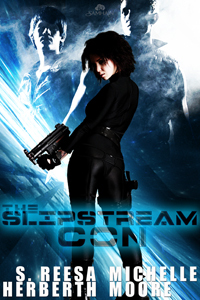 This entry was posted on Friday, March 9th, 2012 at 15:50	and tagged with cassilia rheingild, kellen frey, reesa radio, soundtrack, tal serafine-reyes, the slipstream con, vanya serafine-reyes and posted in Reesa, The Slipstream Con. You can follow any responses to this entry through the RSS 2.0 feed. TOO cool, Reesa and Michelle! I love hearing what inspired you as you wrote 🙂 Thanks for sharing the playlist! Thanks so much for dropping by, Fedora. Glad you enjoyed the music.